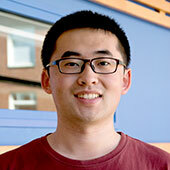 Hao Guo is a PhD student in the Communication Systems research group. His research interests include partial channel state information (CSI) feedback, predictor antennas, and initial access for mm-Wave communications with focus on mobility. There might be more projects where Hao Guo participates, but you have to be logged in as a Chalmers employee to see them.